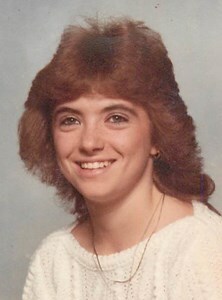 Karen A. Tobin, 51 of Oswego, passed away at home with her family by her side. Born on July 31, 1967 to the late James and Annie McVicar. She graduated from Cicero North Syraucuse High School. She enjoyed spending time with her loving family and cooking with her children. She is survived by her children, Casey J. Tobin, Kayla I. Besaw, Mathew D. Besaw and her beloved dog, Troll; partner, Paul D. Besaw; siblings, Jean Shaw of Florida, Elaine McVicar of Rochester; niece, Lisa Ashby and nephew, Mitchell Shaw; along with many other family and friends, including family in Scotland. Predeceased by her brothers, Stuart and James McVicar. Calling hours will take place at New Comer Cremations & Funerals, N. Syracuse on Friday, April 5th from 4-7pm. Burial will remain private. To share a memory of Karen or leave a special message for the family, please click the Share Memories button above. Add your memories to the guest book of Karen Tobin.